Please enjoy getting to know us, and our beautiful land, by watching our videos! 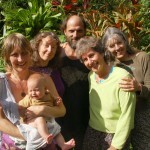 What is it like living in community on our Hawaiian Permaculture farm? This video overview includes interviews with members and gives you an idea of the culture and activities we share together at La’akea Community, on the Big Island. Music by Musasa Marimba Ensemble. Come take a land tour of our Hawaiian Permaculture farm, and check out the tropical gardens, pond, animals and people! It will give you a peek at what happens here on the land at La’akea Community, on the Big Island. Music by Musasa Marimba Ensemble. 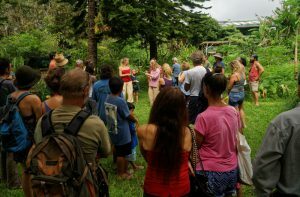 A short introduction to the permaculture training programs offered at La’akea community, with teacher Tracy Matfin. 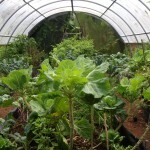 Get a look at our gardens and systems, and how we use permaculture principles in our organic farm in Hawaii. 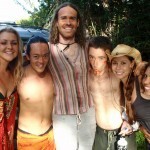 What is life like as an intern or farm supporter on our permaculture farm in Hawaii? Hear what some of our former interns have to say about their experience in our intentional community for a month. Listen to what a couple of visitors say about staying at La’akea community for a few days, while they were in Hawaii. 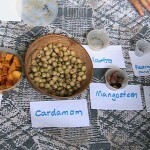 Watch our video of the 2011 Seed Exchange! Every fall, La’akea Permaculture Community hosts a Seed Exchange, where local farmers and gardeners can come to share seeds and information about local food growing techniques. This year we also had a local foods cooking contest! Share the fun. If you would like a short introduction to Wholistic Peer Support counseling, giving some of the basic ideas about emotion and emotional healing, check out this little video with Amara Karuna teaching in Hawaii.